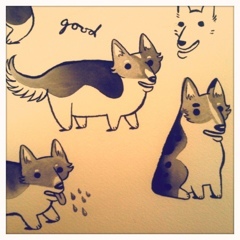 What better way to unwind after a detailed piece than with some corgi doodles? 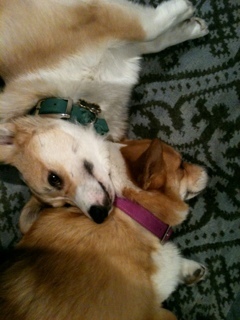 Having my parents’ dogs serve as models didn’t hurt! Who could resist being inspired?